Over the years, children’s playtime has continued to decrease for a variety of reasons including an increased emphasis on academics at an early age, more parents working outside the home, increased use of digital media, limited access to outdoor play spaces, and the perceived risk of play environments. Why does this matter so much? It may seem like they are simply having fun, but in reality, play is a vital part of a child’s development. 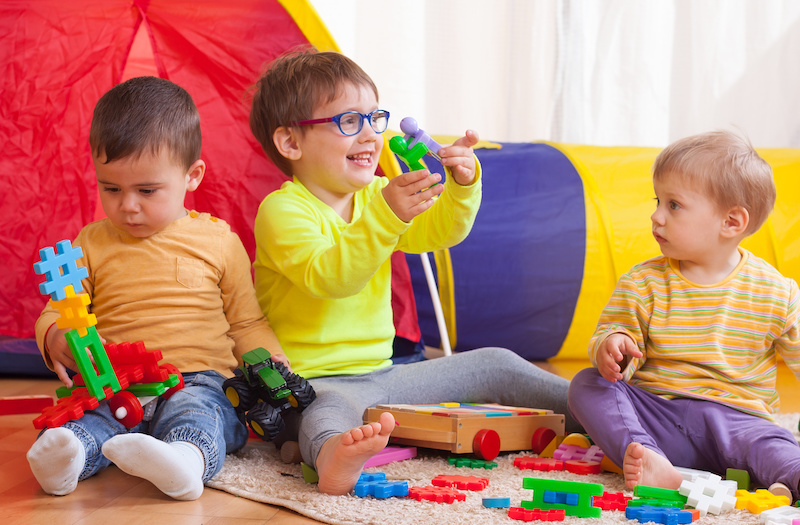 Toys and object play helps develop sensory-motor skills in children as early as infancy and preschool-age. Physical play whether indoors or outdoors can help children develop motor skills and build emotional intelligence by learning skills such as empathy. It can also aid in the prevention of childhood obesity. Outdoor play uses all of the five senses to help foster spacial awareness and balance. Pretend play like dress up or make believe encourages creativity, and builds communication and language skills. Each type of play has its own unique benefits. Mixed together, they help build thriving brains, bodies and social bonds. In September, the American Academy of Pediatrics published a clinical report titled The Power of Play: A Pediatric Role in Enhancing Development in Young Children. This report explains in-depth how and why playing with both parents and other children are essential to childhood development. While the independent play is also important, playing with your child can yield positive benefits for parents too. One study documented that positive parenting activities, such as playing and shared reading, result in decreases in parental experiences of stress and enhancement in the parent-child relationship. The Healthy Children website (www.healthychildren.org), from the American Academy of Pediatrics, is a great resource for parents looking for screen-free activity ideas or guidance on digital media use. Establish a plan for media use including when and where media is used and for what length of time; Enlist the support of grandparents, babysitters or other caregivers to enforce these guidelines. 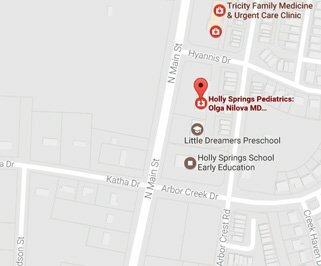 If you have questions or concerns about how best to foster your child’s development, call 919-249-4700 to schedule an appointment with Dr. Nilova today. Can Hypnotherapy Help My Child?